Home / Blog / Is your house too hot? How about closing the chimney? Although the instinct is to open the windows wide and let in a breeze, when temperatures are high this only serves to let heat in. The advice is to keep windows closed with curtains drawn, opening the window at night to let the relatively cooler air in. Having an open chimney is like leaving a window open all the time. This holds true in the winter, when the chimney is a conduit to let precious centrally-heated air out, and in the summer when the weather is uncomfortably hot, the chimney lets hot air into the home. If fans or air-conditioning are being used, then having hot air enter via the chimney will impede the cooling effects. Modern insulation materials were developed to protect warehouses in Texas from over-heating. We generally think of insulation as something to keep us warm in the winter, but it is just as effective at keeping us cool in the summer. The Chimney Sheep® is primarily marketed as a heat-saving device in the winter months, but during the recent heatwave we have noticed an upturn in sales. Blocking the chimney to keep the house cool in the summer is counterintuitive. We think of chimneys as draughty things, which would assist with air-flow and help to keep homes cool. However, when temperatures get above around 25°C then the chimney actually allows more hot air into the home. Blocking it with a Chimney Sheep® will keep the hot air out. Homeowners in cities where it’s very hot have been buying increasing numbers of Chimney Sheeps® at this time of year. I think the fact that they also help keep out polluted air is another reason for people to think about blocking their chimneys in the summer as well as the winter. We had the Chimney Sheep tested by the University of Liverpool, who simulated the use of the it in various property types and climatic conditions. 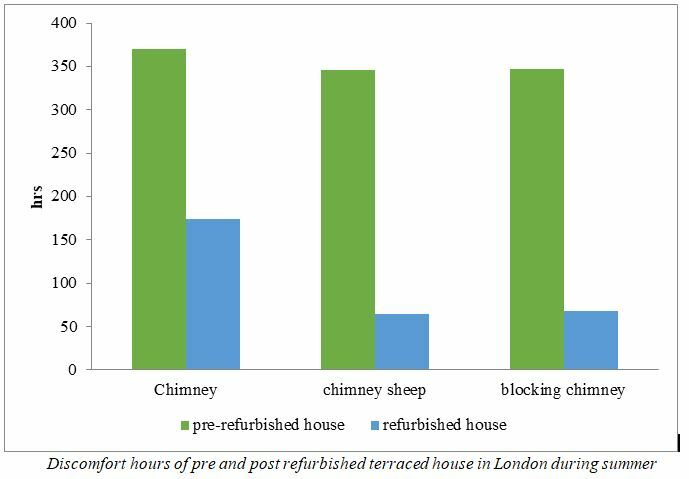 They found that the product reduced household heat loss by over 4% in the winter, reduced the number of discomfort hours in refurbished London homes in the summer. The graphic illustrates the importance of having a well-insulated home both in the height of summer and the depths of winter. Refurbishing the house halves the number of summer discomfort hours. 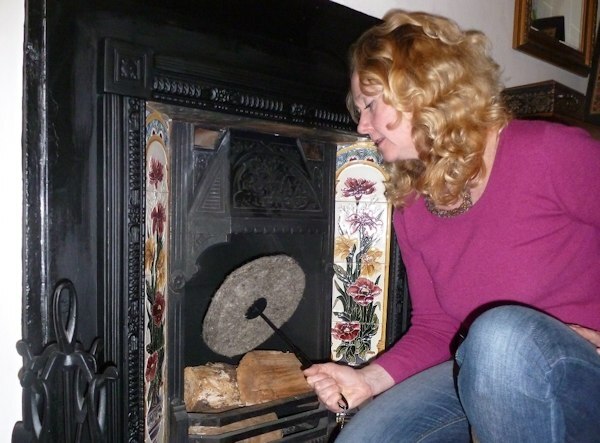 Blocking the chimney with a Chimney Sheep® reduces the number of discomfort hours by a further 2/3’s.